Have A #Wedding coming up my #Sparkling #Brides ? Congrats to Ice T & Coco for there bundle of joy Chanel Nicole ♥ We at Pink Sugar Crystals are so happy they love the Ultimate Custom Baby Gift, Baby Shoes adorned with Authentic Austrian Crystals. The Baby Gift Basket for Coco was filled with other amazing designers including Evolution Vintage & Erikas Kreations & Hair Bow A Plenty. All orders will be shipped out on January 9th if ordering between those dates. Can’t wait to show you all the new Inspiration I’ve found. 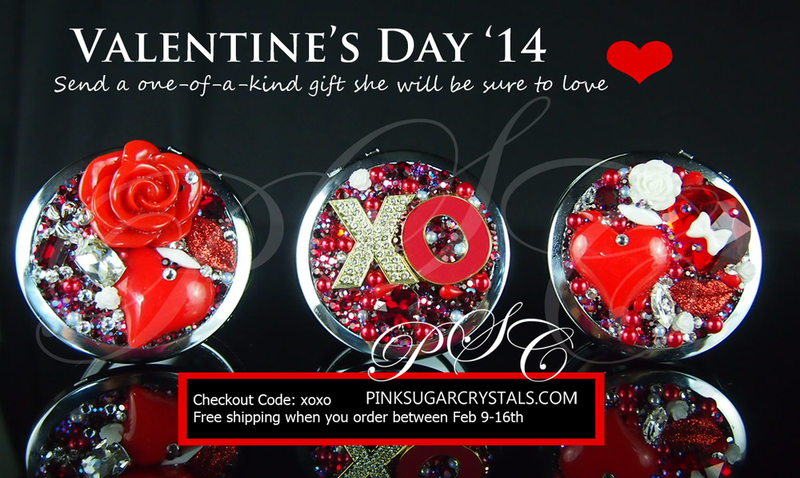 I want to thank everybody for supporting Pink Sugar Crystals. All my dreams are coming true and I fall more and more in love with my Company everyday. 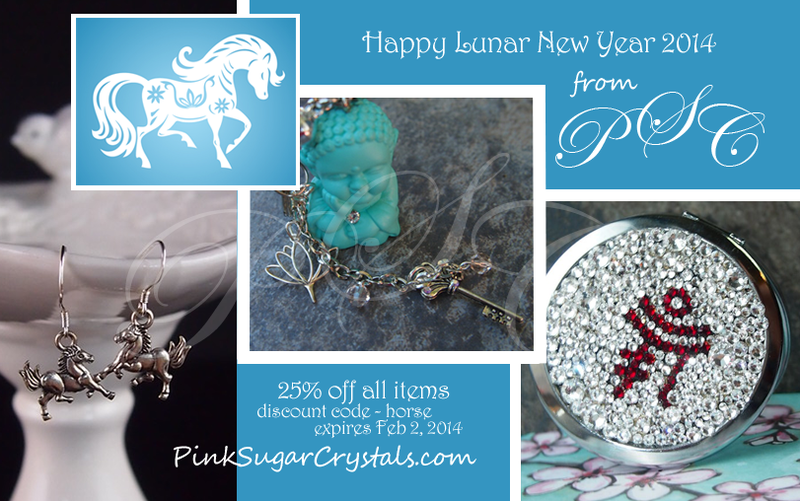 Celebrating Lunar New Year All Week. 25% on every order . Shop Small with Pretty Living! This holiday season we’re supporting our communities’ small businesses, in a pretty way! Pretty Living launches the Pretty Presents Catalog, offering unique gift ideas to our Pretty Living holiday shoppers. Instead of spending unidentifiable dollars, this 2013 Holiday season– shop Small Businesses and you’ll actually see your money going towards growth. By purchasing from the Pretty Presents Catalog, you’ll send energy towards increasing small business prosperity and reinforce positive technological change. 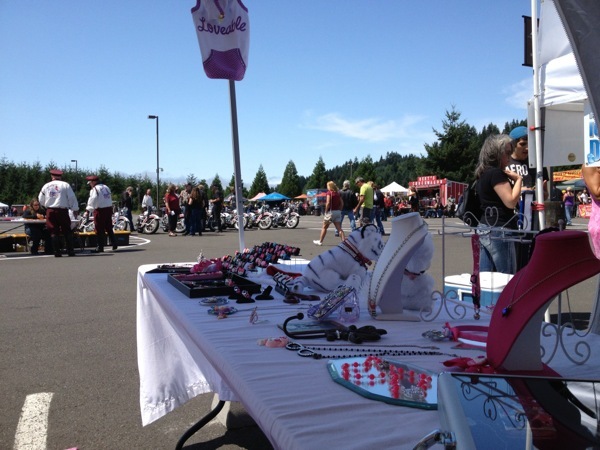 The 2013 Pretty Presents Catalog offers a variety of small business to browse, covering your entire gift-list. The catalog sells dozens of gifts for her and him housing vendors ranging from bowties to cupcakes and Swarovski Crystals to Headbands, you don’t have to check this Catalog twice! 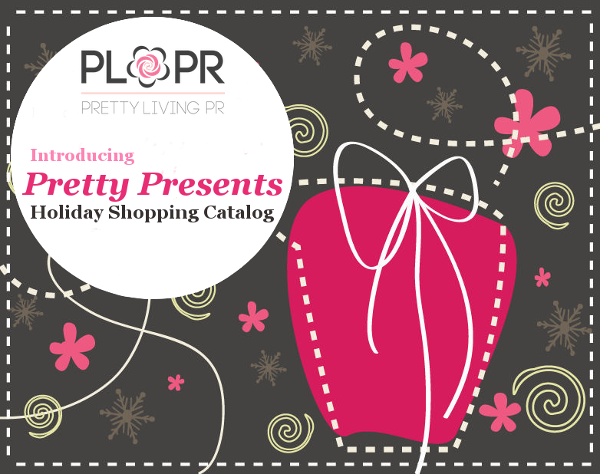 We are pleased to announce to you our client Holiday Marketing Campaign: Pretty Presents. We want to help boost your holiday sales and exposure and have conducted a thorough campaign to do so! In summary, Pretty Living PR will be presenting the public, the media, and online shoppers with a ‘Pretty Presents Catalog.’ Pretty Living PR will push all sales and collect all orders for you! The sales will go through us and we will direct the sales to YOU! For a detailed information packet, please email info@prettylivingpr.com. If you are a Pretty Living fan, you know that we have a firm belief in the color pink. We have a love for all things feminine and beautiful. Our world is for the ones who seek pretty things! Our spotlight this week shines on a company solely dedicated to glitz and glamour. 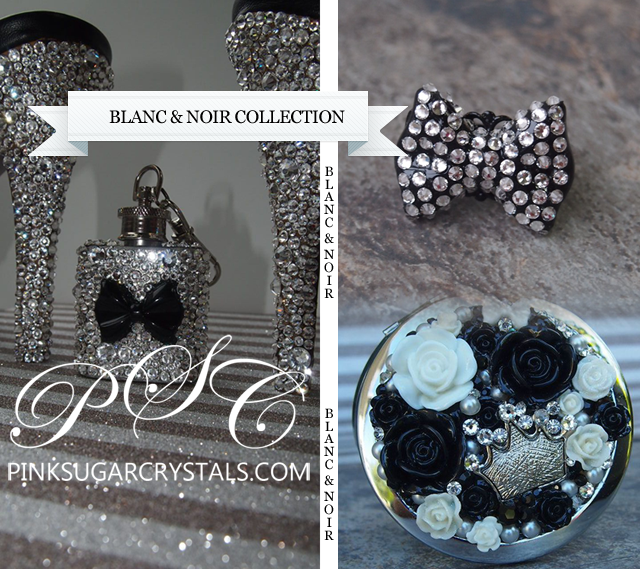 Owner Christina Bias has a love for anything that sparkles and in result she founded Pink Sugar Crystals to share her affair with bling! PL: Why did you start Pink Sugar Crystals? What was the inspiration? 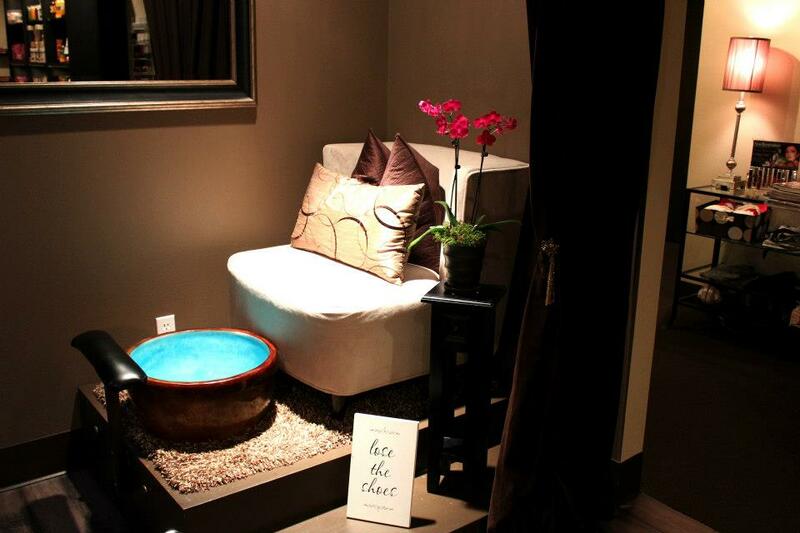 CB: An esthetician by trade, I’ve always had a love for fashion and beauty. Have all ways been artsy and crafty. When I became a stay at home mom, I thought of a way to raise my child and work from home. After designing my first cellular phone case I became addicted and Pink Sugar Crystals was born. Going strong for 3 years and I fall more and more in love everyday with what I do. My amazing customers keep my creativity going and I love them all. PL: What kind of products are you currently bling-ing? CB: There is no accessory or item that I wont try to adorn with crystals or charms. I am always open for a challenge. PL: What is your fashion sense? PL: What stands out about your brand? CB: That all my pieces are unique and if there’s something you have always dreamed of having. Let me know and I will try to create some magic. PL: Do you have any advice for other women business owners? PL: What are your personal favorite designs? CB: This ones hard to answer, I truly love everything. If I had to choose one product that I love to wear, even when dressed down, is any of my Bangles. They Shine like no other accessory, and are such a unique pieces, that no other person has. To go off in a completely different direction, I would like to brainstorm with your readers and speak on being original and competition. All things fashion are often fiercly competitive. When approached by jewelry artists who are just starting out, I always try to make time and be helpful. Sometimes a person that I was working with ends up copying some of my designs. Although it may feel somewhat hurtful, I just keep focusing on my business and work to make quality designs that are all “signature” pieces. PL: What is the customer favorite? CB: I would say my Custom Initial Phone Cases and the Crystal Sew On Bangles. PL: How do you live life pretty? CB: After much thought, I have decided this is a very personal question. Do I say that I use facial cleaners nightly, try to get as much sleep as possible, and give shopping tips? Or do I recommend recording ALOT of reality shows about design or fashion, then play them all as background noise, while doing work on the computer? Well I do have a small motto that I have strongly believed in since High School…. Keep switching it up. Always try to keep things fresh. Try new recipes, eat at different diners and restaurants, drive different streets to the same destination, or shop at the various downtowns of suburbs and surrouding towns. Thanks for listening and lets all inspire each other to live Pretty! 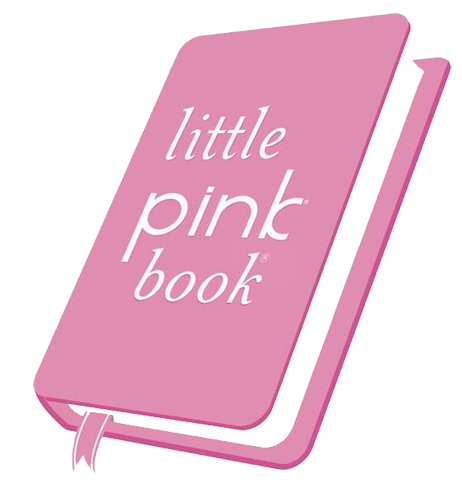 Make sure you also check out Pink Sugar Crystals on Facebook, Instagram, Pinterest and also in our Little Pink Book!